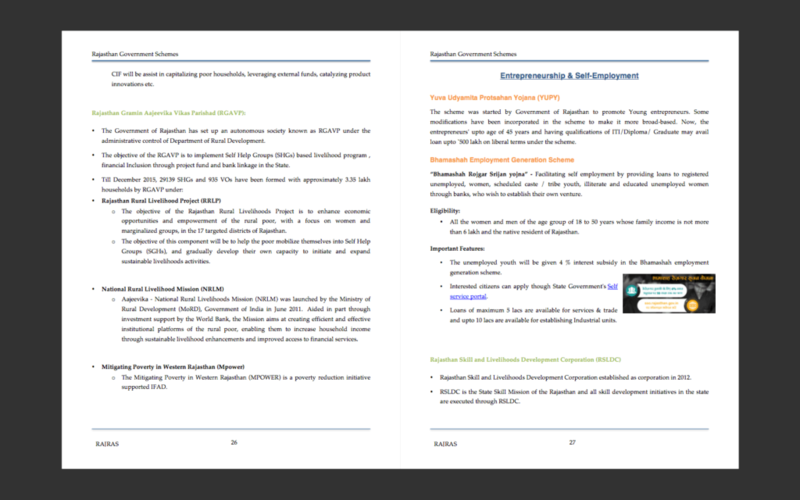 This PDF has detailed description of important government schemes in Rajasthan. 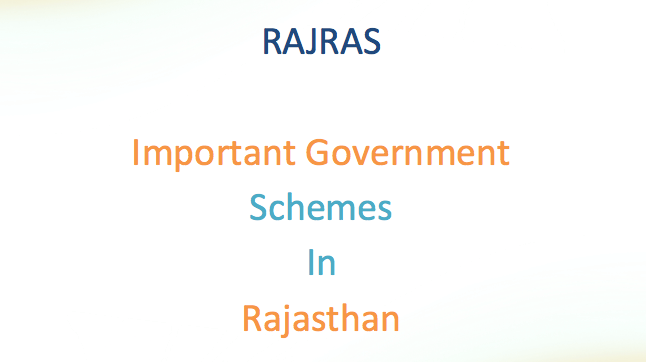 As there is deficiency of consolidated study material on schemes initiated by Rajasthan Government, hence, this PDF lays importance on government schemes of Rajasthan. 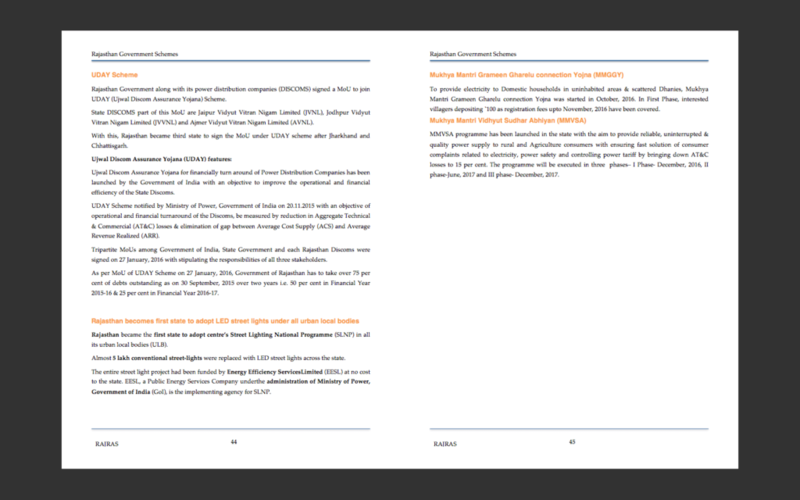 However, important government schemes by Union Government executed through state government of Rajasthan (part of Rajasthan budget) have also been included. 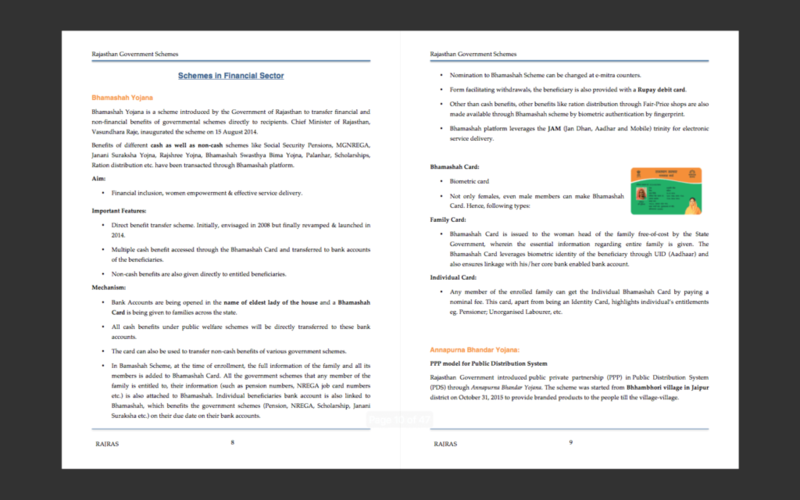 The PDF should be beneficial for aspirants preparing for any Rajasthan State Public Service examination. 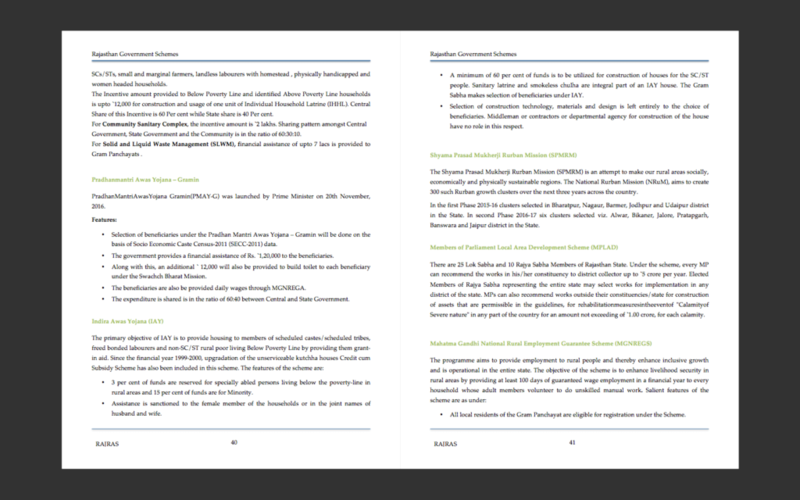 Disclaimer: The PDF has been designed especially for candidates preparing for various examination and hence, only selected exam related facts have been mentioned. For complete details regarding any scheme, please contact concerned department. This is no way official document.